Generally, a dog is a man’s best friend. However, there are times this isn’t the case! Many dog bites occur each year and some can be extremely dangerous and deadly. One 2018 report found that 35 different breeds contributed to 433 deaths due dog attacks over a 13-year period. If you’re ever the unfortunate victim of a dog attack, there are several important steps that you should follow. Seek medical attention. This is most important! If the wound appears to be minor, clean it with running water, followed by peroxide or alcohol. Next, place a topical antibiotic on it followed by a bandage. If it is a more severe puncture wound, immediately call 911 to seek proper medical attention or have someone drive you to the emergency room. If not treated properly, you could face a serious infection. Identify the owner. It’s important to identify the owner if the dog does not appear to be a stray. Snap a picture of the dog if possible as well. 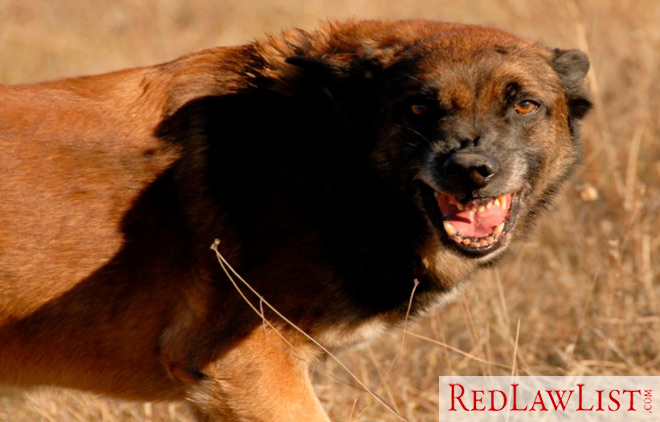 Exchange information with the owner and try and find out if the dog has had rabies shots. If not, you are looking at a series of expensive rabies shots for yourself. Identify witnesses. Get information from any witnesses at the scene. Gather more information on the dog. Do your research. Find out if this dog has bit anyone before. Has this canine been designated as dangerous in the past? Take photos. Take as many photos as possible of your injuries, including any torn clothes or bloody items. Take pictures of exactly where the attack occurred. File a dog bite report. Fill this out as soon as possible with the proper city or county. You need to make certain that there is a paper trail should the dog attack again. Contact a personal injury attorney. Make certain that you contact an attorney that has had experience in dealing with dog bite victims. Bonus tip: If you choose to hire a personal injury attorney, look for these qualities.